I am a big fan of Asian cuisine. Any chance I get to make my favorite dishes like Broccoli & Beef at home, I will. Especially easy slow cooker recipes like this one. Serve it over some rice or even Lo Mein noodles and you will wonder why you ever order takeout! There are those days that I plan ahead for dinner and it makes my life SO much easier!! They are normally days that are completely filled with tasks/activities every waking minute. On those days, if I remember, I like to get dinner started that morning before the chaos begins. 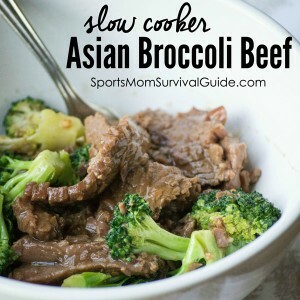 I stubbled upon a slow cooker Asian broccoli beef recipe a few weeks ago and it’s so delicious and easy to whip up! 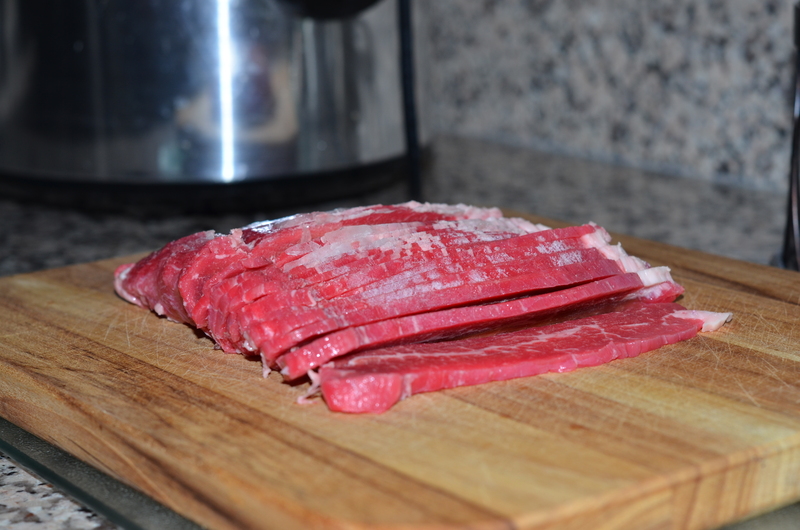 The first step is to freeze your flank steak for about 30 minutes before you slice it. This will help you cut the steak easily but also evenly. Now prep all of your other ingredients. Wash and cut your broccoli, mince your garlic and measure out all other ingredients. Set aside. Lightly coat the inside of a slow cooker with oil and turn it on high. Grab your steak and slice it thin. Add steak, beef broth, soy sauce, brown sugar, sesame oil, garlic, and chili flakes all to the slow cooker. Cover and cook on high for 2-3 hours or low 4-5 hours. At about 2.5 hours, in a small bowl whisk together cornstarch and water until dissolved. Add that to the slow cooker and stir. Add your broccoli florets and cook another 10 minutes. Serve over some rice or noodles and enjoy.